Has your cedar siding been damaged by a storm? Is your older vinyl siding faded or cracked? 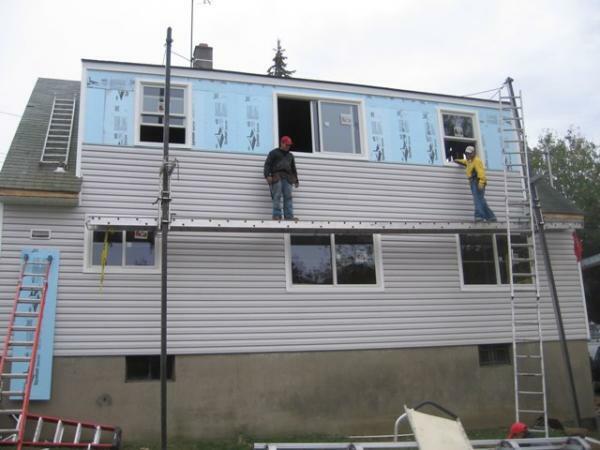 On Time Remodeling Corp is the area's expert in prompt, quality siding repair and replacement. We outperform other area siding contractors by offering affordable rates and courteous siding repair services. Call On Time Remodeling Corp today to quickly repair siding of any kind. Just give us a call and let us know how we may assist you to restore your siding and protect your home investment. On Time Remodeling Corp will send a siding expert to assess your siding damage and quickly provide an estimate to repair the damage. Whether you are looking to prolong the life of your existing siding with a sound repair, or it's time to replace your existing siding, On Time Remodeling Corp will be happy to share our expertise with you to determine the best solution to your siding problem.